Club Penguin will soon allow you to chat online in Spanish, French, Portuguese and German without knowing a word of any of those languages, as part of an upgrade to Disney's Club Penguin website. A new chat system to Club Penguin, which allows children aged five and over to play and chat together online using penguin avatars, will automatically translate pre-selected phrases between the languages used on the site. The chat system currently contains 300,000 phrases but an update, due later this year, will extend that number to more than six billion. The next update will automatically translate those phrases between the site's languages. The result is that children with different native languages will be able to talk without even realising they speak different languages. 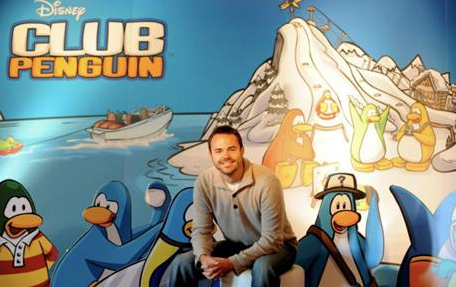 Lane Merrifield, Club Penguin's co-founder, said the team wondered "what would it be like to create a world where language barriers disappear?". The site has several computational linguists and translators working to develop the translation system, which should be available next year. One of the ways that Disney keeps the site safe for children is to pre-select the phrases they are allowed to use in conversation. That prevents children using inappropriate language or revealing personal information. As a result, the service has a database of phrases which can be matched to their equivalents in other languages. Oooh, I actually like the idea. Interesting feature.